Ready for three more gorgeous Miss Polly dresses? Good! 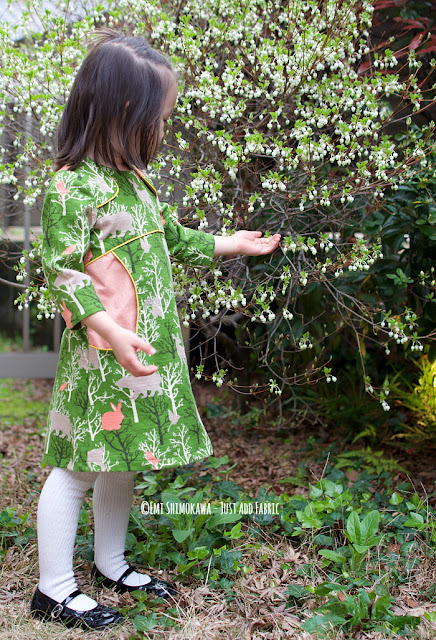 Today I am sharing dresses made by Marleen from Petrol + Mint, Maaike from Maai design and Emi from Just add fabric. Marleen blogs from Petrol + Mint in Belgium. Marleen has sewn up a few sewpony vintage dresses now and I love her style- choices of fabrics, styling and photos. I am excited to see more of the Miss Polly she made her daughter as she has only shown me a sneak peek. How cute are those socks and shoes!! Head over to Petrol + Mint to see more. Maaike owns the lovely online shop Maai design and blogs about her sewing makes as well. Maaike is Belgian born living in Sydney. 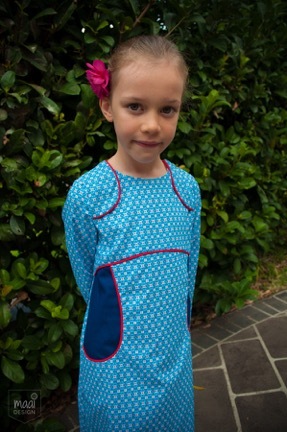 I made this dress for Emily recently from some of the gorgeous Soft Cactus fabric Maaike stocks in her store. Maaike makes beautful things for herself and her children and today is no exception. Head over to Maai design to see more and make sure you stop by her beautiful shop too! Emi blogs from Just add fabric in Japan. Emi was super star tester for Miss Polly - her proof reading was amazing as were her dresses!! 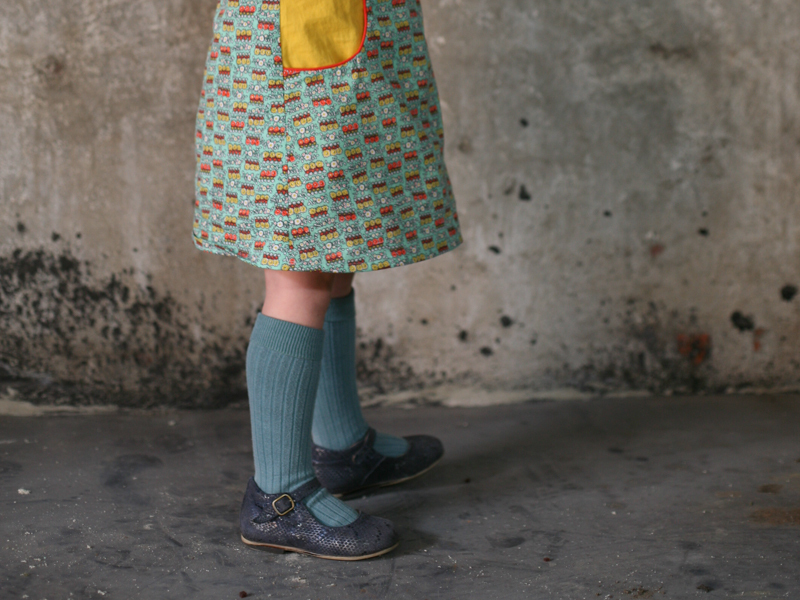 I just love this green Miss Polly - the fabrics are certainly something I would choose too. I love green! Go checkout Just add fabric to see more of this wonderful dress! Thank you Marleen, Maaike and Emi - your dresses are so gorgeous!!! Click on the links below to see the other lovely bloggers on the Miss Polly tour. Thanks for your sweet words Suz! The pleasure is all mine! I love all the dresses, and am curious to see the rest of them! I will have to buy Miss Polly immediately! Thank you so much for having me on the tour! The Miss Polly is certainly a hit with us, and I am looking forward to seeing the rest of the dresses! !